On November 22 in Nuremberg, with the support of the Ministry of Foreign Affairs of Germany, SOLIDARUS NGO presented a report on the persecution of residents of occupied Crimea: Members of the “Mejlis” organization, the situation with prisoners and the violation of religious freedom and the freedom of national minorities. Alexey Kozlov, head of the German human rights organization “Solidarität mit der Bürgerbewegung in Russland e.V.”, attended this meeting. (SOLIDARUS), the author of the report, Victoria Savchuk, who studied the situation of human rights violations in Crimea, Dmitry Shevchenko, Consul General at the Consulate of Ukraine in Munich, Maria Kulikovskaya, an artist and sculptor from Kerch. Following the presentation of the report, participants and visiting guests discussed the situation in Crimea, the violation of human rights there, and how the media covers these events. In the report, violations of rights in the occupied peninsula were consistent with those covered by the European Convention for the Protection of Human Rights and Fundamental Freedoms. Human rights activists studied the right to freedom and personal security, the prohibition of torture, freedom of peaceful assembly, freedom of speech, freedom of thought and religion, freedom of association and the right to a fair trial. The report explored the situation of residents from the beginning of the occupation to the present (2014 – 2018). The study used other reports and verified materials by human rights defenders (Crimea-SOS, Crimean HRG, UHHRU, ICHR, Amnesty International, Freedom House, and others). 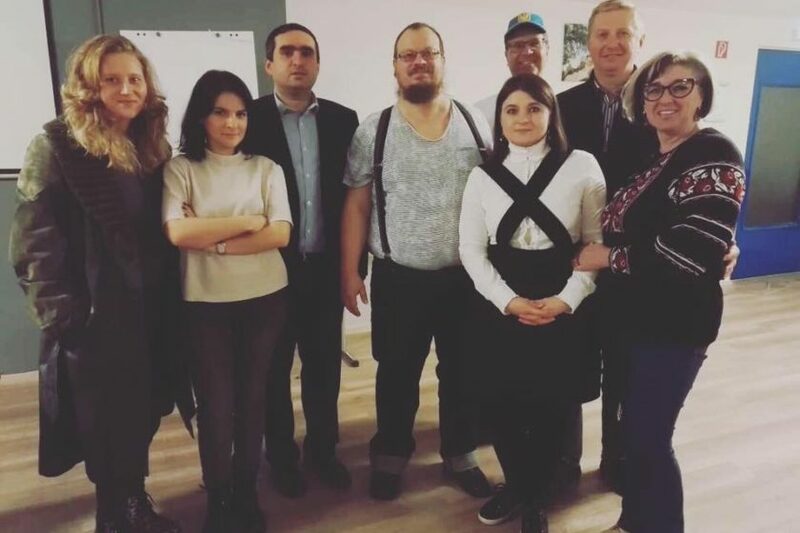 Among the participants were residents of Nuremberg, who were interested in learning more about the problems in the occupied territory of the Crimean peninsula, German and Ukrainian activists. The discussion itself was held in several languages. Interest in this topic, the personal experiences of some participants and curiosity led to an almost three-hour discussion, instead of the originally planned two hours.